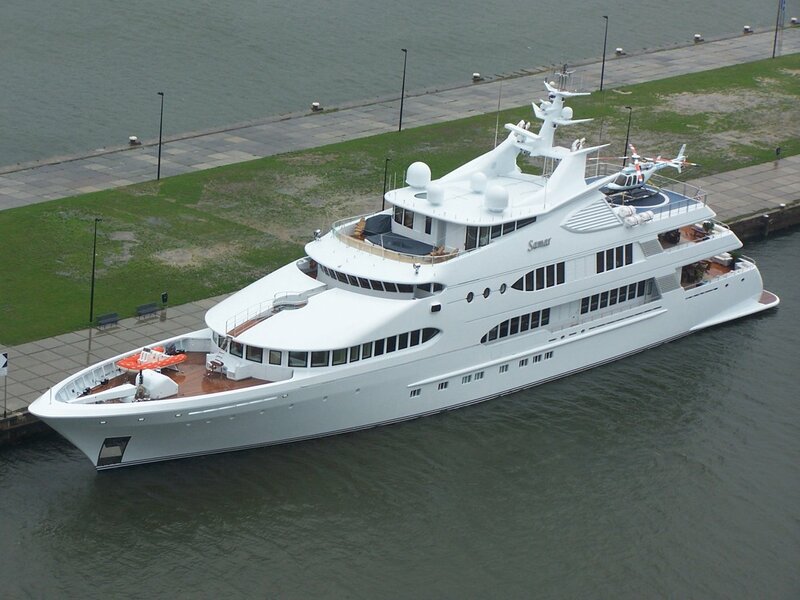 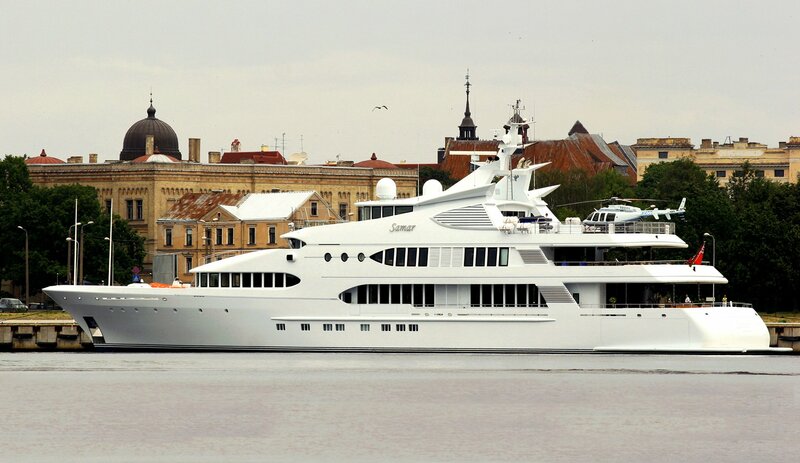 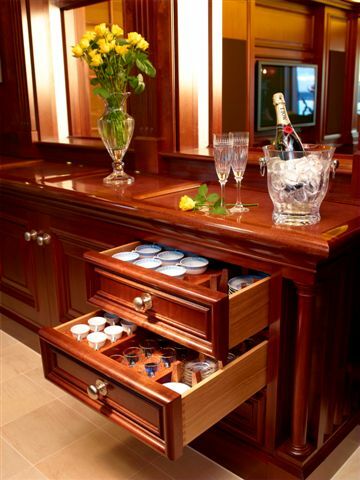 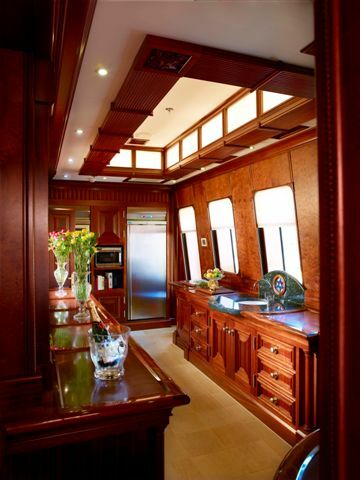 Samar was the first Superyacht completed by Devonport Management Ltd (DML) in 2006. 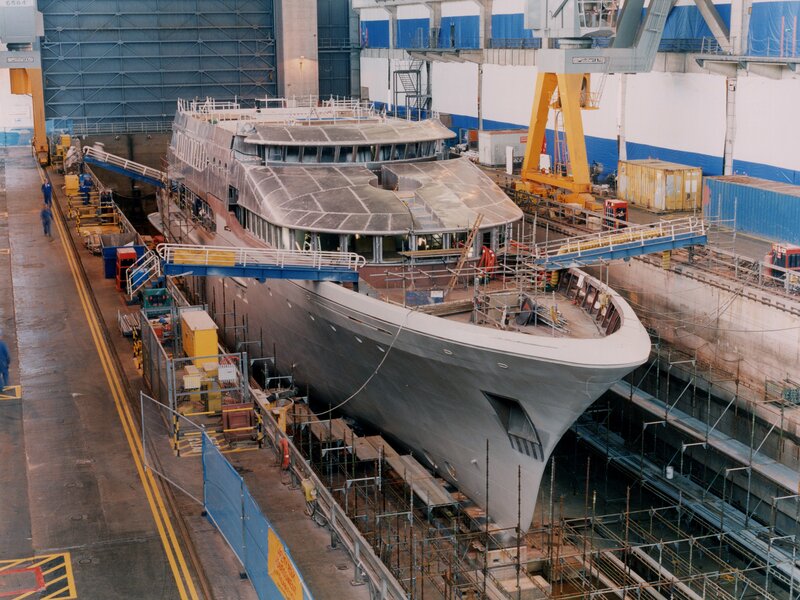 Laurent Giles were involved from the start of the project, developing the initial proposal designs from exterior styling by H2 and went on to supply a full Naval Architecture and Design package, including principal structure design to Lloyds Special service Craft Yacht P Rules, and engineering plans. 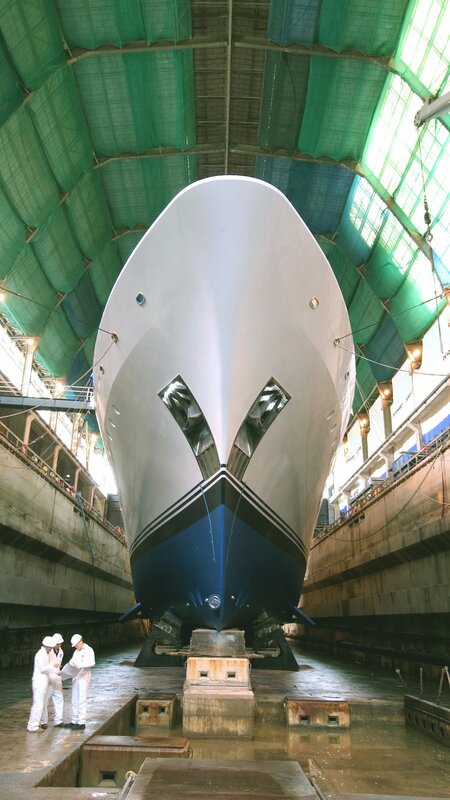 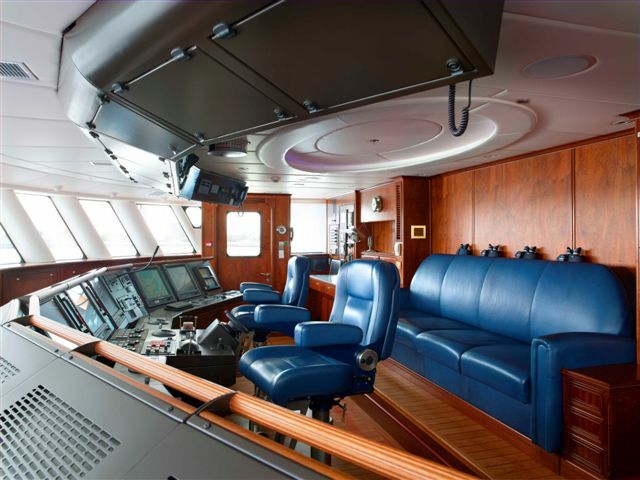 She was one of the first Superyachts to adopt a full diesel electric propulsion system with triple Wartsila generator sets and twin 1800 kW 600v electric propulsion motors, this allows for efficient powering throughout the speed range, up to her maximum trials speed of 17.3 knots. 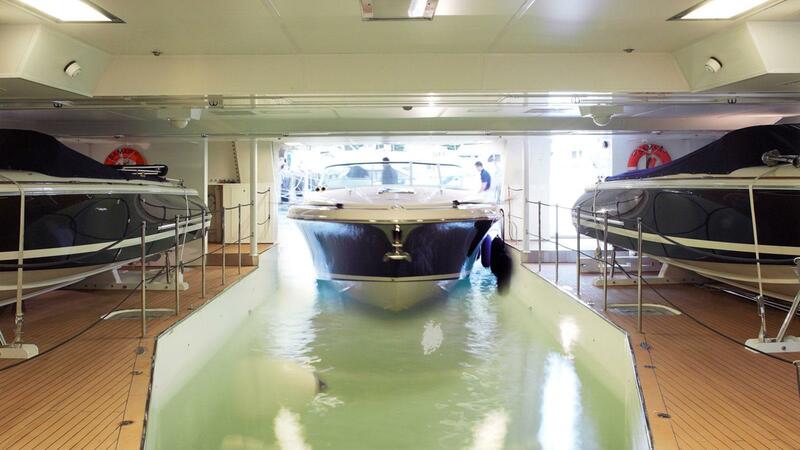 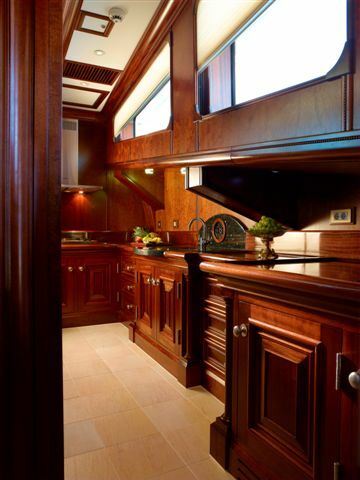 The Design also features a flooding dock built into the stern capable of taking a 12m high speed motor boat, this is in addition to the usual dry tender garage with side opening doors, plus a fully compliant heli deck. 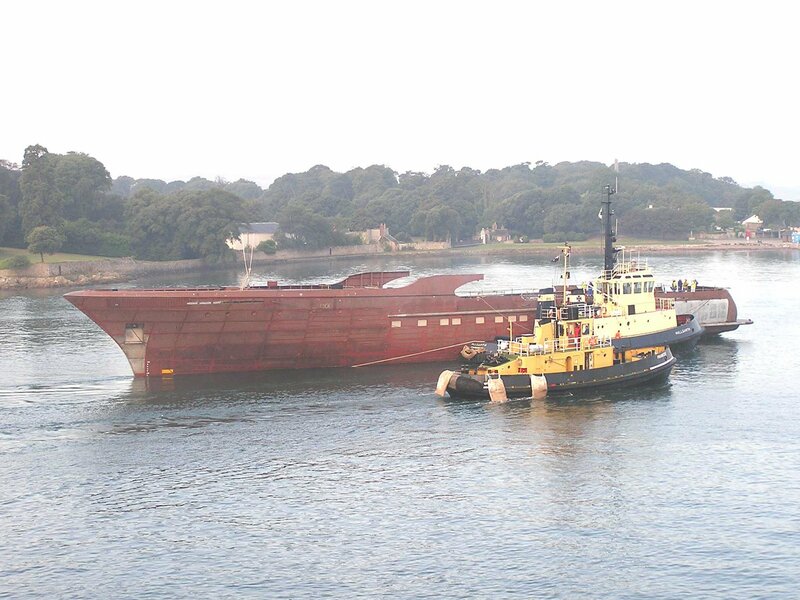 Initial hull design testing was done by Laurent Giles at the Southampton Solent University towing tank.